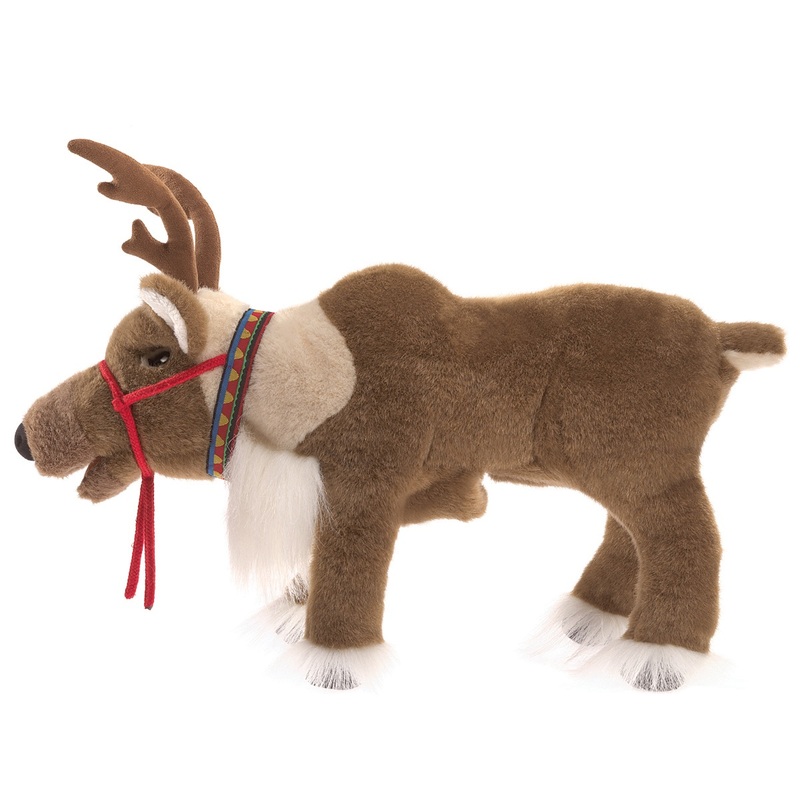 The Reindeer Hand Puppet is 16 inches long, 10 inches tall and 7 inches wide (40.6 x 25.4 x 17.8 cm). 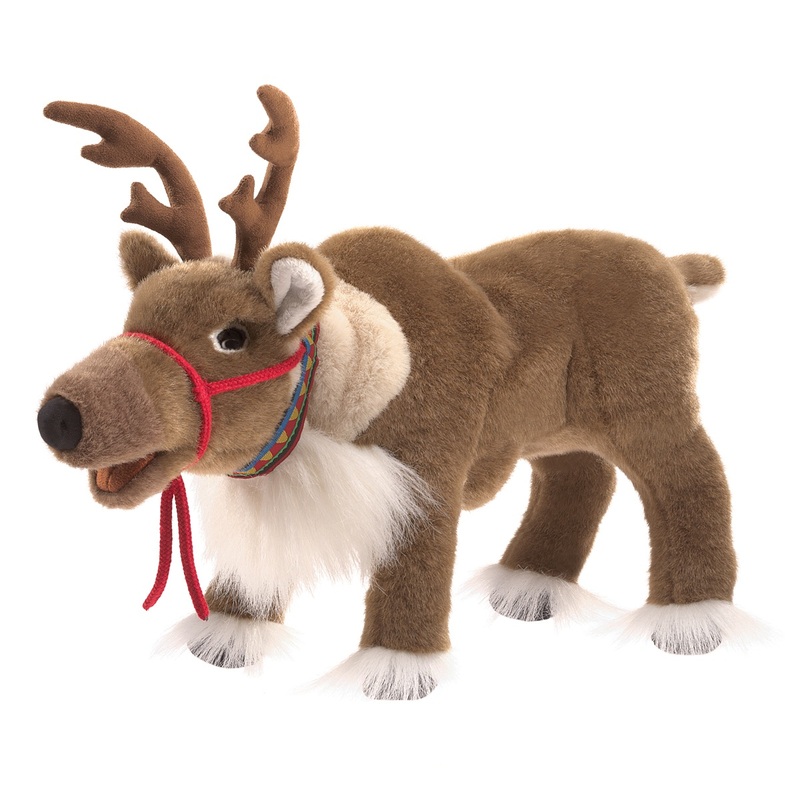 The reindeer has a movable mouth that you can reach by putting your hand into the puppet from underneath the body. 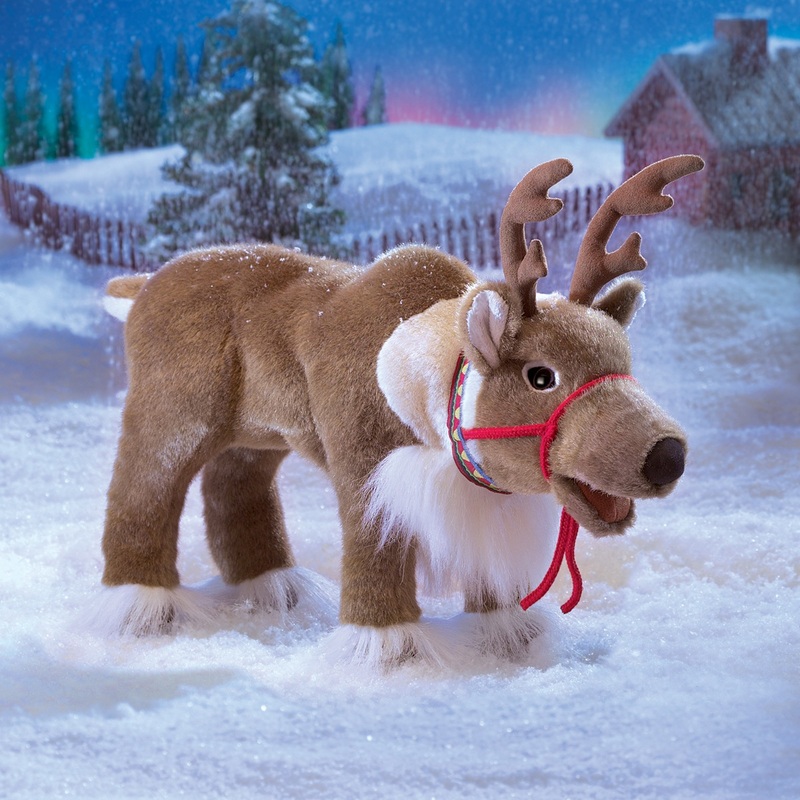 There is a festive Nordic halter. The reindeer does not stand up by itself.